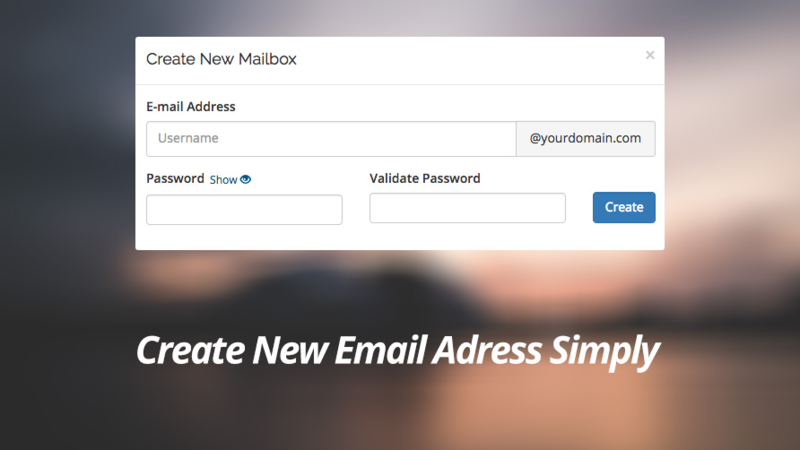 Yandex gives you free email accounts that you can use with your own domain. 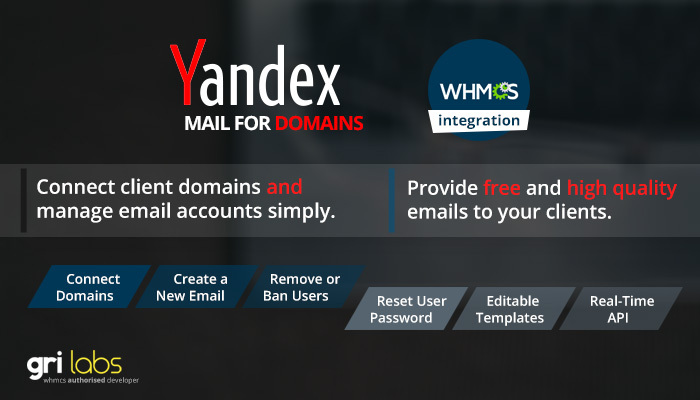 All yandex accounts can own 50 domains for email service. 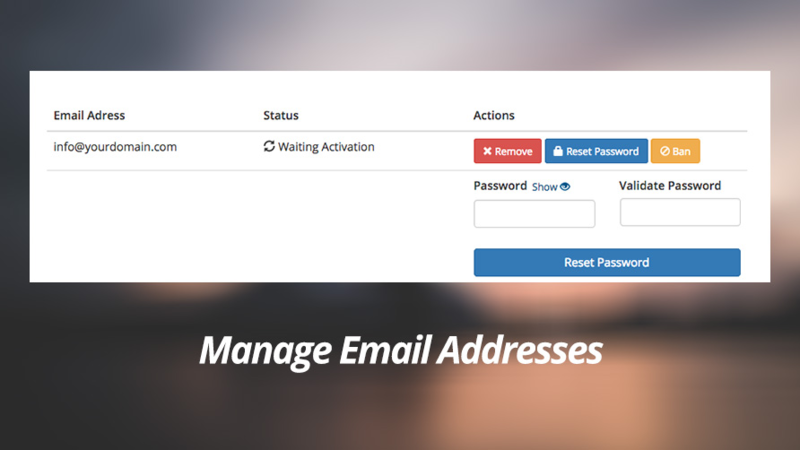 But you can add multiple accounts module to use. 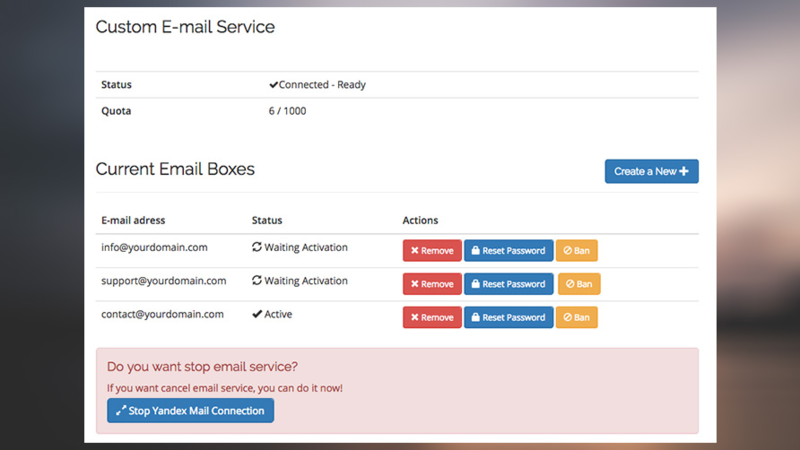 So, our module supports unlimited domain and 1000 email boxes of per domain. You need only a main Yandex Account, everything else is done by the module! All actions making in real-time with Yandex Tech API, So there is no synchronization problem. I am still in the process of setting this up but its difficult because of language barriers on both the Developer side as well as the Mail Service Provider Side which is non English. The Developers are providing support as of now, will update feedback once we are able to complete the installation.